Okay, I've been pretty excited about the new writing module all day and I took the time amongst the billion other things I had to do today to at least transfer my outline to Plotist (if not the actual chapters yet). So I figured... Might as well give you guys a little bit of an idea of what is to come on SR.
Oh wow, that's so cool! <3 How's the module working for you so far? It's an interesting idea with a share link actually. It would still be private, but people with the link could see it, right? +1 This has my full attention. I hear voices. The only way to stop them is to tell their stories. "It's like a drunken spider got dipped in ink and ran across the page." I guess it's my turn to join the crew? Jo is a bit of a creep. 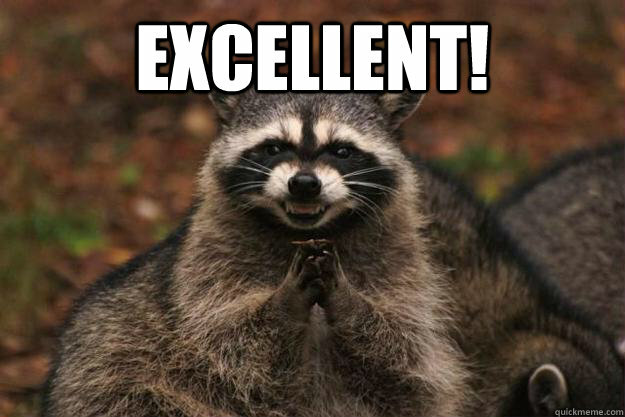 @shy_not_fly17 My dude, the evil plotting raccoon was officially my meme when we were RPing this. @jaycano ... oh no. Jay has learned my weakness.